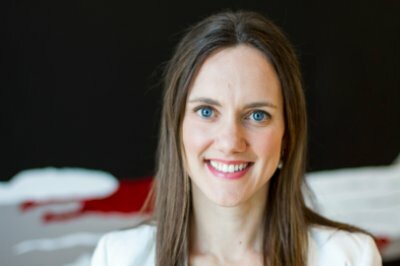 Claire Madden is a unique Gen Y/ Millennial. 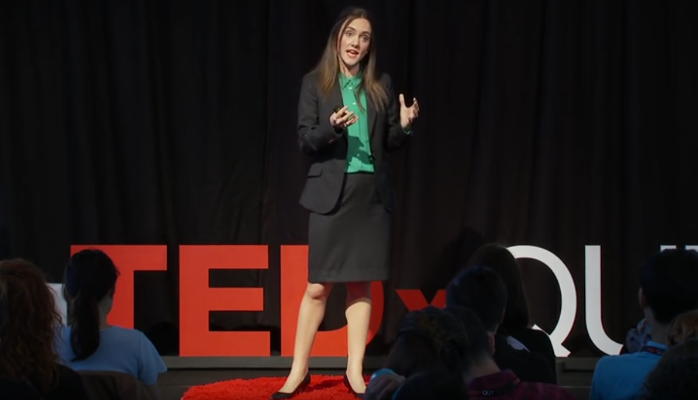 She speaks to thousands and presented at a TedX event in September 2015 answering an important question: What is the future of work and how do we create a culture of collaboration and innovation? Claire believes that we are living through a rare period in history where massive demographic and social shifts are combining with huge technological advances that will change society dramatically. Such is the speed, scale and scope of change that within just a a few decades the workplace will be forever different. I've written about the employment apocalypse where up to one-third of sales roles will disappear within the next five to ten years. The machine age and artificial intelligence will have monumental consequences but Claire adds another dimension that is important to understand for all leaders. We will always live in a human-to-human (H2H) world regardless of technological disruption but the workplace of the future will be transformed from what we know today. Here are Claire's insights and some staggering facts that every leader needs to be aware of. The rest here is from Claire and her TedX video is at the end... it is compelling viewing. Generation Z, today’s school and university students, are projected to have an estimated 17 jobs across 5 careers in their lifetime – and many will be working in jobs and sectors which don’t even exist yet. There are overarching demographic and social trends which are going to influence the workplace of the future – population, participation and productivity. Population. Many nations are on the brink of massive aging with an acceleration in the percentage of population over 65. Baby Boomers, born 1946-1964, make up 25% of today’s workforce and are reaching retirement. They will make up just 8% of the workforce by 2025. We have six generations in our society today, and the workplace is undergoing significant intergenerational transition with Gen Y and Gen Z set to comprise over 3 in 5 workers in the next decade. Participation. Female participation in the workforce has been increasing and will continue to in the years ahead. We will also be working later in life, with the retirement age being pushed back. However, due to the impact of our aging population, the overall participation rate of people aged 15-64 will decline in the years ahead from 65.1% today to 62.4% in 2055. The impact of this aging population is reflected in the ratio of workers to retirees in our nation. In 1975, there were 15 people of working age (aged 15-64) for every couple of retirement age (aged 65+). Today there are just 9 people of working age for every couple of retirement age, and by 2055 it is projected to be just 5.4 people of traditional working age for every couple of retirement age. Productivity. With the declining workforce ratio, there is going to be greater demands for productivity from our labor force. The need to do more with less to support an ever increasing aging population. Productivity and output has been increasing - the Intergenerational Report outlines that for every hour an Australian works today, twice as many goods and services are produced as they were in the early 1970s. A key contributor to this has been technology which has enabled greater efficiencies. The intersection of technology, innovation & collaboration.Productivity will be maximized not only by the effective utilization of technology, but by organizations and people who can innovate, and communities that collaborate. From the accommodation sector being transformed by AirBnB, to transport by Uber, and higher education through MOOCs, it is the intersection of these three factors – technology, innovation and collaboration – which are transforming sectors. Effective organizations, brands and workplaces of the future will understand the opportunity of leveraging technologies, fostering innovation and embracing collaboration. Collaborative Leadership. Traditional leadership models have been based on position, hierarchy, command and control. Whilst leadership remains essential, the styles of leadership the emerging generations respond best to are those that foster a context for them to connect, create and contribute. Effective leaders of the future be those who can effectively create a culture of collaborative innovation. A culture of collaborative innovation. A culture of collaborative innovation requires focusing on the people not just the process. On shaping a team not just spending on technologies. It requires building on a foundation of shared values such as humility, respect and honesty. Productivity and outcomes will continue to be high priorities in the workplace of the future. However as leaders and managers can shift their focus from just process to developing people, from transactional to transformation leadership, and create vibrant, healthy, dynamic workplace communities – the productivity, innovation and output will be generated as people thrive in a culture of collaborative innovation. Claire Madden is a social researcher and works with McCrindle Research as Director of Research. She is internationally recognized and masterfully bridges the gap between emerging generations and the business leaders and educators of today. She is a next-gen expert, fluent in the social media, youth culture, and engagement styles of these global generations. Most importantly Claire is a trusted friend who I highly recommend if you are seeking a speaker for your company event or conference.